Tired drivers cause up to a quarter of all road accidents globally. But what can you do on a long car journey to avoid falling asleep at the wheel? Dr Cornelius J Grobler, Senior Medical Advisor at Jaguar Land Rover, has some helpful tips to make sure you stay awake while driving. It seems obvious, but some people miss the tell-tale signs of driver fatigue. Watch out for frequent yawning, rubbing of the eyes, the head beginning to nod, excessive blinking and micro sleeps. Get a good night’s sleep. Most adults need seven to eight hours to be at their best, so a good night’s rest before a long car journey is essential. If you feel tired or ill, it’s best to avoid long car journeys - especially at night or in the dark winter months. The effects of sleep deprivation are increased if drivers consume even small amounts of alcohol before or during their journey. Plan your route. If you are driving for more than three hours, a 15-minute break every two hours will help keep tiredness at bay. Have a nap or take a short walk. Don’t drive for more than eight hours each day. Have a coffee, cola or energy drink. 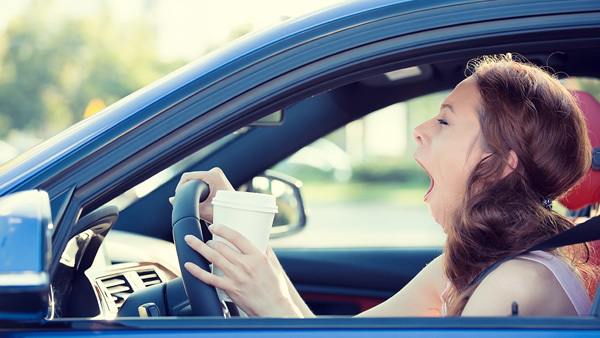 Caffeine is a stimulant and will help you stay alert while driving, but avoid overusing it on long car journeys. Too much caffeine can cause restlessness, anxiety, heart palpitations and dizziness. Drivers using prescription medication should plan long journeys carefully. Some medicines, including diabetes and epilepsy treatments, can cause drowsiness, so check the packaging or ask your doctor or pharmacist about possible side-effects. 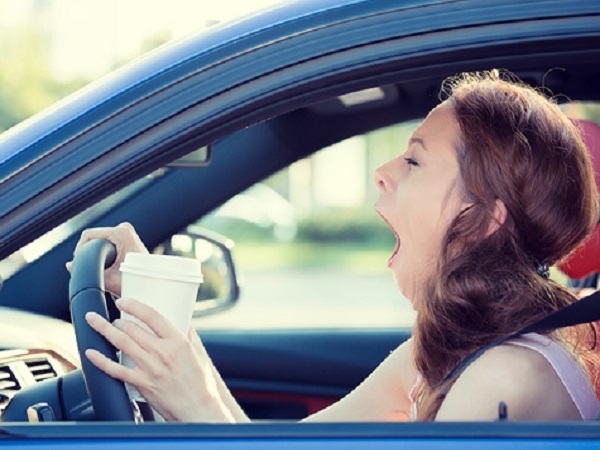 These are just a few helpful tips to keep tiredness at bay on longer car journeys. As soon as you feel your concentration beginning to drop, be sensible and take a break – that way you will keep yourself, your passengers and your fellow road users safe.